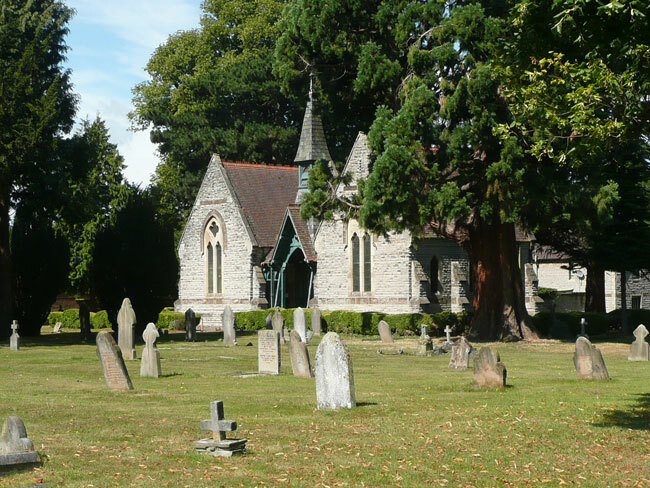 Evesham Cemetery contains 40 Commonwealth War Graves, of which 10 are for the First World War. One of these burials is that of a soldier who served with the Yorkshire Regiment. We are extremely grateful to Richard Roberts (<richard@nosnailshere.co.uk>) who has forwarded the photograph of David Chandler's grave in this cemetery. The photos were taken by Kate Melen. Details of Private Chandler, and a photograph of Evesham Cemetery are below this photo. 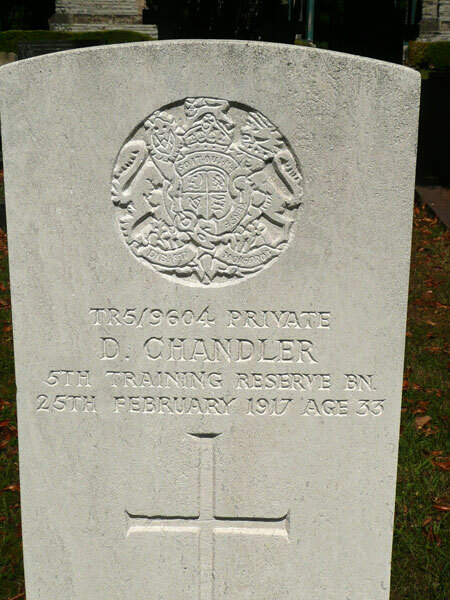 Private David Chandler. TR5/9604. 5th Battalion the Yorkshire Regiment, attached to Training Reserve. Son of William and Sarah Ann Chandler; husband of Margaret A. Chandler, of 103, St. John's Rd., Cannock, Staffs. Born at Evesham. Died at home 25 February 1917. Aged 33. Born Evesham, Enlisted Lichfield, Resided Cannock.